So where are you going for your (next) MDiv? I note that you've got a Luther Seminary ad on your blog. I was out there in October for the Gospel and Our Culture Network consultation, and I was blown away. They've got Pat Keifert, Craig Van Gelder, and ties to a lot of the most energizing minds in missional theology and ecclesiology. As I'm trying to figure out my own vocation, a few years in Minnesota is beginning to seem pretty attractive. But if you're willing to share, I'd love to know both where you're planning to go and what other schools you looked at or are looking at. Thanks in advance! Luther Seminary does look very cool, and I love the idea of a D.Min., where the learning takes place in the context of your local community as well as with a cohort of fellow students. 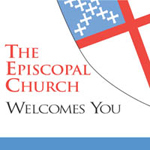 My bishop really wants me to do another residential degree, though, so I'm looking primarily at the Episcopal Divinity School (EDS) in Cambridge, MA and General Theological Seminary in New York City. Thus far, EDS's curriculum looks like it provides more flexibility, which is important to me, since I want as much as possible not to simply repeat coursework I've covered elsewhere, but I'm hoping to get up to General soon to talk with them about what kind of an M.Div. program there might work for me. I did look at a number of other Episcopal seminaries and the Lutheran seminary at Gettysburg (my bishop was OK with me going there, and it's close enough that I could live at home), but their curricula mostly require both that students not take courses that they had already taken at the graduate level elsewhere AND that they substitute an elective in the same field for every required course from which they're exempted due to previous coursework. There just aren't that many courses in New Testament offered! Just what is your bishop's reasoning on why you need a *third* theological degree? A friend of mine who was ordained in a diocese about 4 hrs south of you, and who has a BA, MA, and PhD in history and has taught history for yonks as her first vocation, cut a deal w/ her bishop whereby she took 3 years of seminary coursework, 1 year of it residential, but it didn't have to add up to an actual *degree*. They just came to an agreement about what the bishop and COM wanted her to experience in her ministerial education and designed a syllabus accordingly. She ended up w/ a Cert in Ang Studies from VTS for 1 year's residential study and a whole bunch of credits from Union-PSCE in stuff like Bible and preaching and education. Don't forget your interlibrary loan! And if for some reason you can't do that, I'll look round these parts; Fairfax Co.'s library is the one thing I love about living in northern virginia. Does your bishop really insist that you do a full three year residential M.Div? At General you could earn an STM or a certificate in Anglican Studies in a year and probably get what he thinks you're missing. Surely he doesn't expect you to do biblical studies and church history over again? My bishop does want me to get the full M.Div. -- sheepskin and all -- as he thinks this additional degree and being in residence on campus for the whole time is important for my formation. This is a change in plan -- before, he'd thought a D.Min. would be fine -- but I'm obeying with a glad heart, albeit a light wallet and heavy debt load. Seminary is a fun place to be, and while I do wish I could remain in full-time ministry in a congregation, I plan to get as much as possible out of the experience. Fortunately, EDS has a flexible enough curriculum that I think I can get an M.Div. from there without repeating much -- they're very good with independent study courses, and students can also take courses from any institution in the consortium of which they're a part. GTS might also be able to put a suitable program together, but I have to come in for an interview to see. I loved seminary, and I would've gladly stayed longer if $$ had allowed it, so I understand what you mean. But I also know how hard it is to jump through all the hoops in the process and all the hurry up and wait stuff. I'm a GTS alum, so of course, I'm biased and I love NYC, but I know EDS has lots to offer, too. Good luck! and We are Looking for Your Mail we Need You Prayer support.